The seaport city of Seattle and its panoramic views of Puget Sound are home to metro-Seattleites who wouldn’t think of living anywhere else but The 206. Whether you’re a native or a newbie to coastal Washington weather, shoring up your residence is essential. Protect your home and help ensure the safety of your family with a roof inspection from a family-owned and -operated Seattle roofing company. Keep your residential or commercial property covered in the event of foul weather and oceanic wind. Find local discount coupons here at Valpak.com, so you pay less for quality roofing services, products and roof repair. Make sure your car, truck or SUV is tucked away behind sturdy, solid garage doors. Choose an overhead door and an accompanying garage door opener to save yourself the inconvenience of entering and exiting your vehicle in stormy weather. Ask your local expert garage door installer to help you choose the best door to fit your garage and your budget. Save now without lengthy searches or top-dollar prices. 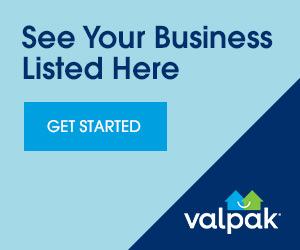 Choose Valpak for the best home improvement savings. Axis Roof & Gutter Inc.
More coupons for Axis Roof & Gutter Inc.
GREEN BUILT EXTERIORS LLC - A CERTIFIED MASTER ELITE ROOFING CO.
More coupons for GREEN BUILT EXTERIORS LLC - A CERTIFIED MASTER ELITE ROOFING CO. Call O'Brien Garage Doors Today! 100% Lifetime Satisfaction Guarantee. Fast, Friendly Service. HOME IMPROVEMENT COUPONS NEAR ME: $500 OFF Any Deck Package When You Schedule By April 30th! SAVE $350 on Roof Replacement $9,500 and below. SIGNING BONUS - $250 OFF Any Tree Service When Contracted At Time Of Estimate!